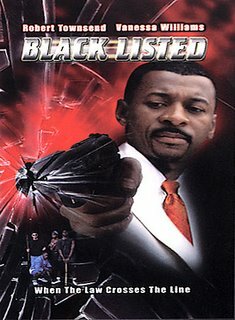 Black Listed has a good idea but poor execution. Alan Chambers (Townsend) is a lawyer and sick of his job. He corrals his friends into forming a vigilante group. Everyone goes along with it at first, until it turns sour and innocent people start dying, and Alan is the only one left standing. 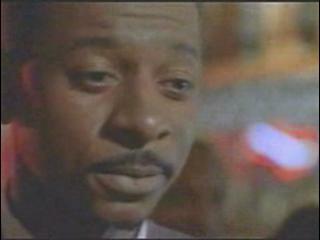 Robert Townsend is a good actor. Hollywood Shuffle (1987) is a comedy classic. This time around, he falters. It's not his problem though. The problem is the absolutely horrendous transfer this movie has. I say that because every shot is out of focus, and the angles are wrong. You don't see the person talking, you see a shot of the sidewalk instead. It's very distracting. On the commentary, Townsend never mentions it, which leads me to believe that he was watching a correctly formatted version. How can York Entertainment even release this to the public? Does the company think people are so stupid they don't mind that they can't see a movie correctly formatted to fit their screen? It's embarrassing. Overall, the movie isn't bad, but if you see it, get ready to be mad at York Entertainment.